PN:7096032 / 7044392. SUN ORACLE 3.5" HERON DISK MOUNTING BRACKET tray carrier. PN:7096032 / 7044392. SUN ORACLE 3.5" DE2-24C Disk Shelf Hard Drive Tray. Boardroom Technologies will provide top level service and will do everything in our power to satisfy all your needs. This is a Sun / Oracle Original disk drive mounting bracket. Refurbished Sun / Oracle Original Part. Compatible with Sun Fire X2100, X2100 M2, X2200 M2, Ultra 20, Ultra 20 M2, Ultra 40, Ultra 40 M2, Ultra 25, Ultra 45. 7308501 7308501 replaced 350-1386. Coral 3.5" Disk Drive Bracket (p/n 7308501). This Bracket is Refurbished Sun / Oracle original part. Only one Bracket included. Refurbished Sun Original part. Product Specs. 15mm Sun Original Bracket. This Bracket is a Refurbished Sun original Disk Drive Bracket removed from a working machine. Sun Fire X4150, Sun Fire X4450, SPARC Enterprise T5120, T5220. Only one bracket included. This is a Sun / Oracle original Disk Drive Bracket removed from a working machine. 15mm Sun Original Bracket. Only one Bracket with Screws included. Compatible with Sun Blade T6300, Sun Fire V215, V245, V445, X4100, X4200, X4100M2, X4200M2, X4600, X4600M2, T2000, Netra 210, T2000. You are buying one used Sun 540-2939 SCSI Disk Enclosure - X5214A. This sale is for one used Sun 540-2939 SCSI Disk Enclosure - X5214A. Location: 36A. Only one Drive Bracket included. This 350-1508 is a Refurbished Sun original part that has been pulled from a working system. Storage 7310 SAS2.0, 7410 SAS2.0, ZFS Storage 7120, 7320, 7420. Oracle Exalogic Elastic Cloud X2-2. RSM Disk Bracket (p/n 370-2304). RSM Disk Drive Bracket. RSM Storage Array. This is a Refurbished sun original bracket. Only one bracket included. Refurbished sun / Oracle original part. Product Specs. Sun Fire X4600. Sun Fire X4600 M2. Sun Fire X4200. Sun Fire X4200 M2. Sun Fire X4100. Sun Fire X4100 M2. Sun Fire V215. Sun Fire V245. Caddy only/ Hard Drive,and Screws are not included. Our corporate office is in Minneapolis and our opportunities are coming in from all directions. Many products have interchangeable substitute part numbers. Many feature codes have multiple part numbers available. Original Sun Microsystems 340-3661-01 Mounting Bracket / Caddy For 3.5" Hard Drives! This is a used, but in perfect condition original SUN mounting bracket (caddy) for 3.5" hard drives. Sun part number 340-3661-01 Rev 50. 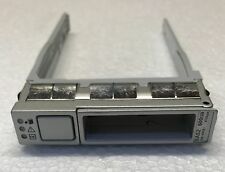 Sun SPUD 540-3024 SCSI Hard Drive Tray / Caddy - Used Pull. Sun SPUD Hotswap SCSI Drive Tray (System Pull) for Sun U30 U60 U80 E420R E450 & E3000 Servers; Sun Enterprise 250 450 220R 420 & 10000R Servers; Sun Fire X2200 M2 V120V210 V240 V440 V1280 V880 V480 V100 4800 4810 & 6800 Servers and the Sun LX50 Server. This is a Sun MIcrosystems Hard Disk Drive server caddy. Sun Microsytems 3.5 SCSI Hard Drive Caddy Tray for models Ultra320 and Ultra160. Item Condition Used. Sun StorageTek 5320 Sun StorageTek[tm] 6140 Array Sun StorageTek[tm] 6540 Array. Drive Mounting Bracket (HDD Carrier), RoHS:Y. Only one bracket included. This 541-0882 is a Refurbished Sun Original part. 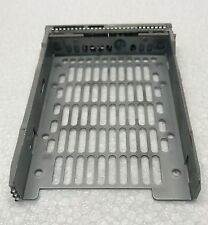 Sun 540-7216 3.5" Serial Attached SCSI SAS Hard Drive Tray / Caddy - New Pull. Sun 540-7216 drive bracket for mounting 3.5 Serial Attached SCSI SAS Drives into Sun StorageTeck 2500 series expansion arrays. We recognize the want- and need- for older hardware. after handling. We take our reputation seriously. Photo shows what you will get. No other accessories will be included except what is shown. 1.6" Spud Mounting Bracket. 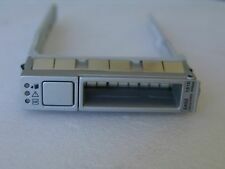 Sun Enterprise Hard Disk Drive bracket (p/n 540-3025). This is a Refurbished Sun Original disk drive mounting bracket. Only one bracket included. Refurbished, Sun / Oracle original part. 3 Sun Microsystems 3.5” hdd trays. P/n 7308501 They work perfectly. Part Number341-1136. Product Specifications. ConditionLike New. Lot of 10: SUN 341-0586-01. IPL Computer Center. We are located at 6373 US Hwy 50 E, Carson City NV 89701. Do not expect to get the drive pictured. It is very unlikely that that specific drive is still in our inventory. Erased (DoD 5220.22 M Compliant) and tested good (Not formatted, partitioned, or allocated). 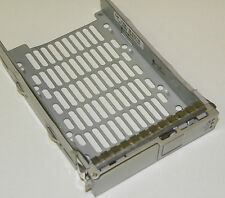 Sun XTA-BRACKET SCSI Hard Drive Tray / Caddy with screws - Used Pull. This tray will accept any 3.5 x 1.0 SCSI hard drive that has 80pin SCA-2 Interface. Used Pull -The product has been removed from a working system (e.g. server). Only one bracket included. This 540-4303 is a Refurbished Sun original part. Refurbished Sun / Oracle original part. Product Specs. Product Weight: 1lb. 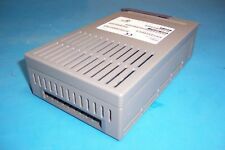 1 Sun Microsystems 540-5455-01 Hard Drive Sled. Type: Hard Drive Sled. This fee will be collected upfront before work on the order begins. Any unauthorized work on the unit(s) renders the warranty NULL & VOID! This is a disk drive bracket for the Sun Fire V60x and Sun Fire V65x. This is a Sun original bracket removed from a working machine. Sun Fire V60x, Sun Fire V65x. Only one Disk Drive Bracket included. 4 Caddy Mounting Screws. 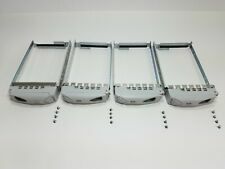 1 HDD Tray Caddies. NOTE:This Tray is for3.5" HDD. Note: We are professional supplier of server hard disk and accessories. StorageTek 6140. LIKE NEW original part that fills the empty hard drive slot. Tested for Key Functions, R2/Ready for Resale. Defective or Not Described. Item Specifications. (bracket only no screws). The warranty is not transferable, and does not apply to wholesale accounts. Very little (size of a pencil eraser) scuff marks and scratches. Sun Microsystems 3.5" hard drive caddy. Doing so is against US and international law. May need a photo or 2, but will do everything possible based on your preference to either replace or RMA the item quickly. Model : SunFire X4200. Type : Hard Drive Blank Filler. Form_Factor : Server. Sold in the USA. Server Parts. This fee will be collected upfront before work on the order begins. Most printers go to the refurbishing process after the order is made. TheSun 82-00000982 is aHard Drive Caddy Filler. Part Number82-00000982. ConditionLike New. Product Specifications. Free Ground Shipping! One Year Warranty! 541-2123, Marlin 2.5" Bracket. NOTE DISK MOUNTING BRACKET, MY NOT WORK ON ALL MACHINES. We will make every effort to work with you and make things right, if given the opportunity. SUN MICROSYSTEMS. 3.5” SILVER DRIVE BRACKET. (bracket only no screws). We want you to be happy with your item and feel confident that you are getting a great product before you buy it. Sun Coral 7343235 3.5in LFF SAS / SATA Hard Drive Bracket. 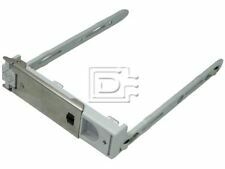 Sun Coral 7343235 3.5in LFF SAS / SATA Hard Drive Bracket / Tray / Caddy for use on Oracle X6-2L - New Pull. Sun Coral 7343235 3.5in LFF SAS / SATA Hard Drive Bracket / Tray / Caddy for use on Oracle X6-2L Server. 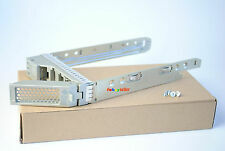 Sun 541-0239 Nemo SFF SAS Hard Drive Tray / Caddy / Nemo Bracket - Used Pull. 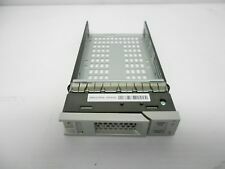 Sun Hotswap SAS Drive Tray / Nemo Bracket (System Pull) for Sun Blade T6300 Sun Fire V215 V245 V445 X4100 X4200 X4100M2 X4200M2 X4600 X4600M2 T2000 Netra 210 T2000 Sun Sparc M3000. Sun Microsystems. ROHS Heat shield. With Screws. Lot of 10: SUN hard drive tray dust cover. This is not hard drive caddy. IPL Computer Center. We are located at 6373 US Hwy 50 E, Carson City NV 89701. During that period, response rate might be slow.